3 What are the repercussions of doing it wrong? When it comes to on-page SEO, there isn’t much information on how to do it properly. Google is vague, and it’s understandable they wouldn’t want their algorithm exploited by explaining it in detail. SEO professionals rarely master on-page SEO techniques, because they aren’t aware of what is required, and frankly it’s easy to use backlinks as a crutch. If it doesn’t rank, they simply build more links. As Google gets better at busting link schemes, a wise strategy involves getting a bigger bang out of fewer links, by using the best on-page SEO techniques. I’d like to emphasize how important on-page SEO is in terms of ranking. Doing it a little off could mean the difference between ranking in the teens vs top-10. Bad on-page will result in over-optimization penalties that completely remove your site from Google. Most of the penalties that kill a site’s rankings are not only the penguin, panda, hummingbird and other recent algorithms. The majority of the time when a site tanks, it is due to keyword stuffing and other on-page SEO algorithm filters that have been present since at least 2009. Many of the animal-named Google algorithm updates simply put more stringent restrictions in place, and expanded the rules of on-page SEO to include external link anchors, where keyword stuffing on your site was tied to keyword stuffing in link anchors pointing to your site. 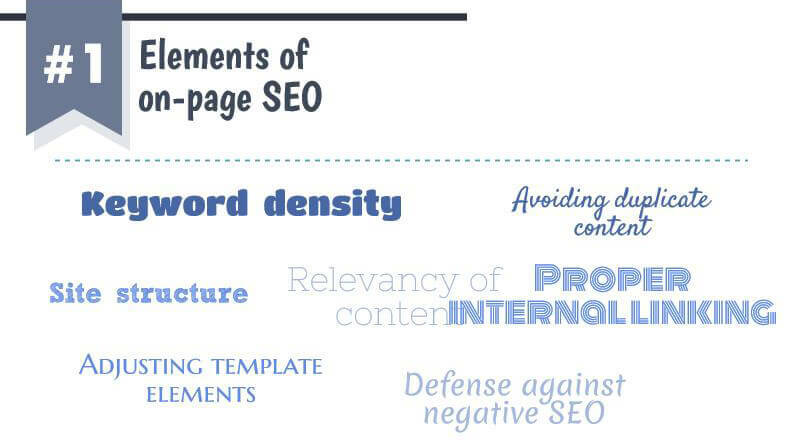 Let me define the elements of on-page SEO. These include keyword density, site structure, relevancy of content, proper internal linking, avoiding duplicate content, adjusting template elements and defense against negative SEO. 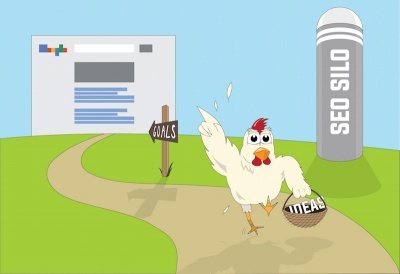 It goes hand-in-hand with the external backlinks you receive, so that both are in balance. Each of these aspects have many little nuances, and this guide will spill the guts of every trick I know. What are the repercussions of doing it wrong? Here is what happens when you have bad on-page SEO. Any SEO professional worth their salt will certainly have noticed some of the ailments I’m about to list. • You used to rank, but now you don’t. What would cause a website that used to rank top 10, to suddenly get a -50 or -100 adjustment in the SERPs? Or disappear out of the top 1000? Many would throw out the answer, “Oh, that’s just a Google dance” when it happens for a few weeks. 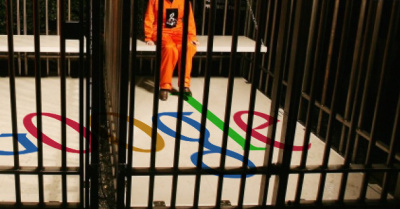 After a few weeks, if it doesn’t come back, then it becomes a mysterious Google penalty. The truth is that a majority of the time, this is simply bad on-page SEO. 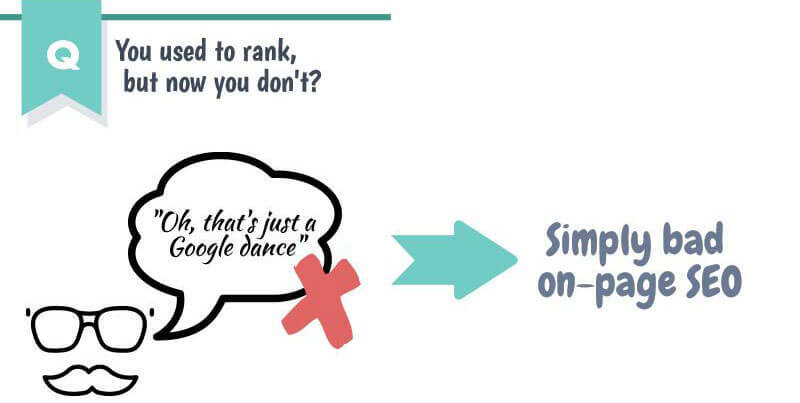 A few simple adjustments would see your rankings return almost immediately. • A page that used to rank disappeared. Another less optimized page took its place in the SERPs.Why did that other page on your site (that you didn’t even link to, that has less optimized content) suddenly take the place of the other page that you have been working hard to promote? Due to over-optimization, your first page received a filter penalty. With that page gone, Google reveals your next highest-ranking page that hasn’t been filtered due to over-optimization. By fixing the keyword stuffing of your original page, or your internal linking which uses too many exact match keywords, or by balancing your on-page keyword use to incoming external link anchors, you can bring it back. 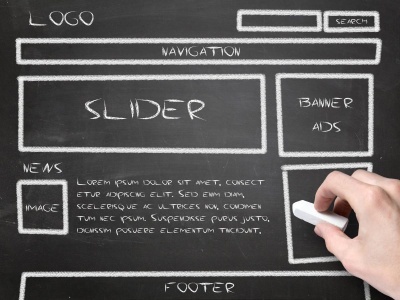 • You changed your website’s template, thereafter losing a significant amount of traffic. Even if your link structure stays exactly the same, different templates will inject differing keyword densities into the text of your site. Simply by adding a tag cloud, hundreds of extra keywords could be injected on every page. 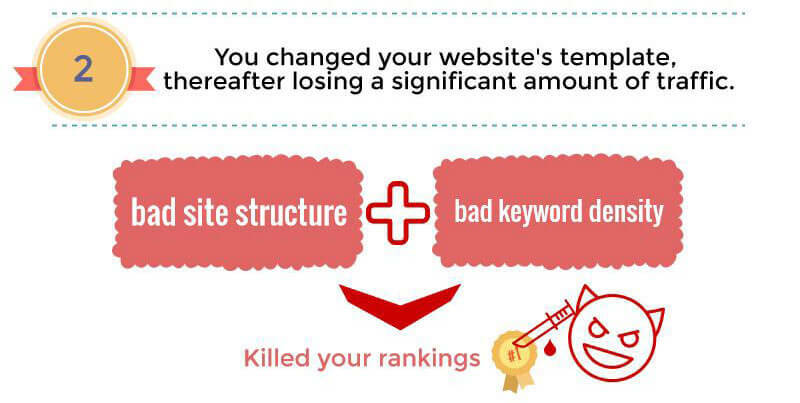 This different, bad site structure and keyword density ratios killed your rankings. WordPress out-of-the-box is horrible for on-page. I’ll show you how to adjust your WordPress theme for the best results. • You bought links, and at first your rank improved. Eventually it dropped, finally disappearing altogether. Old habits are hard to break. Even though Google has been punishing exact match links since the release of Panda back in 2011, it still feels like we’re wasting our efforts if the links we build do not contain the exact keywords we want to rank. While the best linking practice includes a greater amount of branding links, and a fewer amount of exact match links, yet this isn’t only a link issue. Google multiplies your incoming exact keyword matches with your on-page keyword density. Did your link provider accidentally give you too many exact match links? You can remedy it by reducing your on-page keyword density! You can also fix it by reducing exacts match keywords in your internal linking. 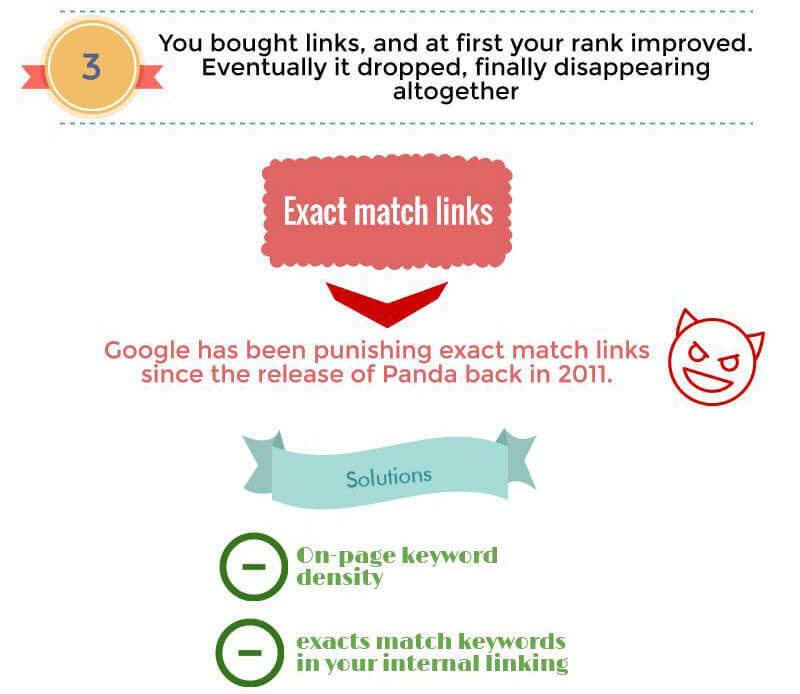 There are a number of on-page SEO fixes that will remedy Panda exact-match-anchor penalties. This is an example of how Google’s animal-named algorithms are actually integrated with your on-page SEO. • Some jerk bombed my website with low quality links. Now because of negative SEO, my rankings are dead. I’m not an advocate of low quality links, however, they are not a death certificate for your rankings. 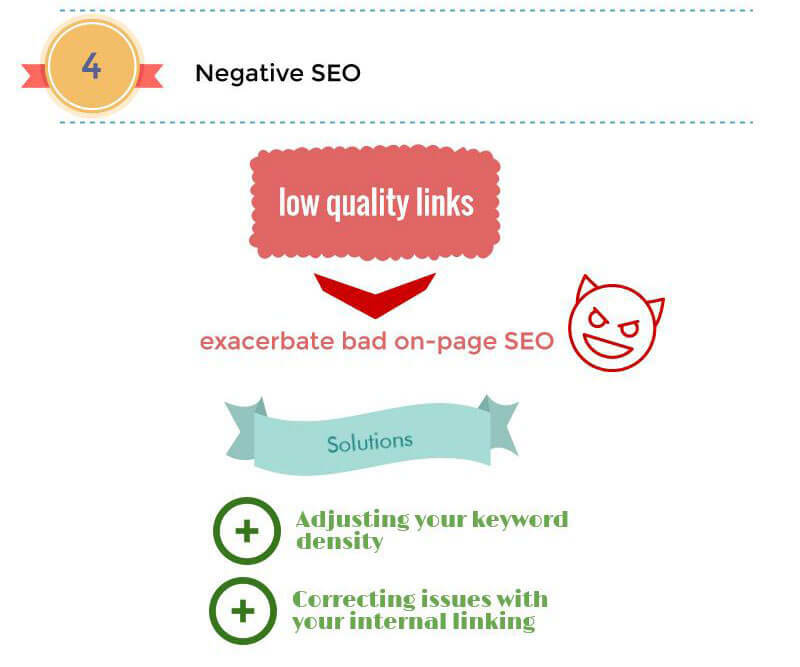 Low quality links exacerbate bad on-page SEO. If your website is borderline ranking, because your keyword density is too high, or because your site structure is not optimal, a deluge of low quality links will push your site into the no-rank zone. Perhaps you even purchased these low quality links, thinking they would be beneficial. By adjusting your keyword density and correcting issues with your internal linking, you can bring your website back into ranking from negative SEO penalties. The above represents evidences that your site may be filtered from the SERPs. Google’s algorithm thinks your content is bad, that you are keyword stuffing or have any number of other on-page SEO problems. The great thing about fixing your content is that Google responds very quickly. When you balance on-page, Google will typically show improved rankings within a couple days, sometimes in mere hours! When your page is being filtered from the Google SERPs due to over-optimization, the exact second your page is no longer over-optimized, it makes a comeback. 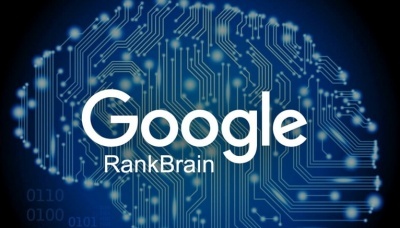 Where implementing bad template changes can result in losing many rankings, implementing positive changes to your website’s template can instantly restore rankings amongst many of your articles at once. This guide will show you the proper keyword densities you need to rank. It will explain proper site structure. You’ll learn how to do internal linking, both within content as well as navigational links. I’ll show you how to drop penalties that are caused from getting unbalanced backlinks. Who am I, and what makes me think I know how to do on-page SEO? My name is Kevin Hemminger. The SEO community knows me as phpbuilt from blackhatworld. In 2013 I provided my first on-page SEO guide there, and it received over 130k views. Since then, I’ve been contacted by hundreds of SEOs who used the guide to improve their own rankings. I’ve helped highly competitive (100k+ month search volume) pages regain rankings and shed penalties. This guide is a significant improvement over the original. On the next page, I discuss keyword density and the over-optimization penalty filter. It boggles the mind how many websites are hanging in the penalty zone, with a -50 to -100 penalty (or not even showing in the top 1000) that would immediately pop back into high rankings and profitability with a few simple keyword density adjustments! Next, I discuss the exact keyword density percentages you should use, as well as how to balance them against incoming anchor texts.